Diabetes is a modern day epidemic with the American Diabetes Association claiming 29.1 million Americans (9.3% of the population) have diabetes and another 86 million people (18.8%) have insulin-resistant pre-diabetes (1). The vast majority of diabetes is the type II variety known as degenerative diabetes. Research has shown that degenerative diabetes is an inflammatory disorder and is completely preventable & reversible through an anti-inflammatory lifestyle. When we eat sugar or carbohydrates our digestive system converts these larger molecules into glucose which is then absorbed into the bloodstream and taken to every cell of the body. Blood sugar fuels the cells keeping them healthy. For healthy function it is critical to maintain stable blood sugar levels. In this article, you will discover 12 steps to beat diabetes naturally. Diabetes is classically diagnosed by one of three different mechanisms. Hemoglobin A1C (HbA1C): This is a form of hemoglobin (Hb) or red blood cell that is measured to identify the average plasma glucose concentration over a 3 month period of time. When Hb is exposed to plasma glucose there is a glycation reaction that takes place. As blood sugar increases the fraction of glycated Hb increases. Healthy HbA1C levels are considered below 5.7 although most functional medicine doctors like to see them below 5.4. HbA1C levels above 6.5 are clinically diagnosed as diabetes mellitus. From 5.7-6.5 it is considered pre-diabetic. Fasting Plasma Glucose Test (FPG): This test measures fasting morning blood sugar levels. The individual is instructed not to eat any food within 12 hours of the test. So the individual typically told to skip breakfast and the test is usually performed in the mid-morning. Oral Glucose Tolerance Test (OGTT): This test measures an individual’s response to a glucose load. They are instructed fast similar to the FPG and then they are given a measured dose of glucose (75g for adults) to consume within 5 minutes and the blood is measured both immediately after the drink is finished and 2 hours afterwards. The 2 hour measurement is major recording. Normal OGTT levels should be under 140 mg/dl although most functional medicine doctors want to see them under 120 mg/dl. The pre-diabetic range is from 140-200 mg/dl and over 200 mg/dl is considered diabetic. Stabilizing blood sugar is largely controlled by the pancreas through a hormone called insulin. When the body recognizes that blood sugar is elevating the pancreas releases insulin. Insulin then acts as the key that fits the cell receptor door lock. Once insulin interacts with the cellular door it opens and the sugar is able to enter the cell. When the working rhythm between the pancreas, insulin and the cells are out of harmony it produces insulin resistance and eventually degenerative diabetes. A poor diet and sedentary lifestyle are the two biggest contributing factors for diabetes. When we eat carbohydrate rich foods we create a large demand on the body for insulin production. 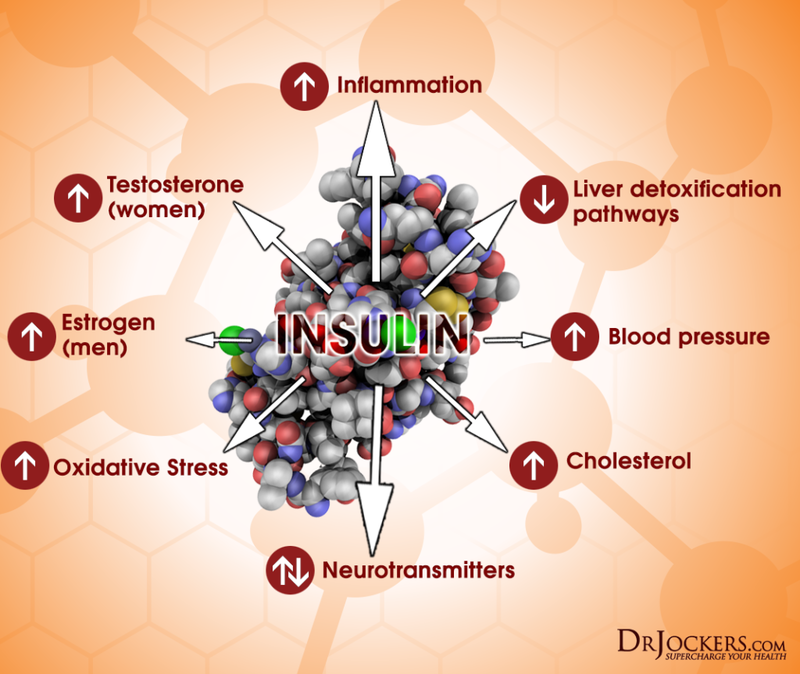 Insulin is a storage hormone that is also a precursor for inflammatory prostaglandins (cellular messengers). Bouts of elevated insulin put the body into fat storage metabolism and this increases inflammatory processes within the body. This increased inflammation damages the cell membranes of the body causing insulin receptor distortion that leads to insulin resistance (2). With inadequate insulin signaling the blood sugar remains elevated. When blood sugar stays elevated for too long it interacts with enzymes and other protein molecules creating dangerous substances called Advanced Glycolytic End Products (AGE’s). AGE’s are highly inflammatory and destructive as they damage tissue throughout the body including nerve fibers and blood vessels (3, 4). This is the reason for the neurological and cardiovascular complications involved with diabetes. The gut microbiota affects numerous biological functions throughout the body and its characterisation has become a major research area in biomedicine. Recent studies have suggested that gut bacteria play a fundamental role in diseases such as obesity, diabetes and cardiovascular disease (5). Researchers found that microbiota that produce high levels of the short chain fatty acid butyrate are very low in individuals with type II diabetes compared to healthy individuals. Butyrate is a preferred fuel for the enterocytes of the small and large intestine. Low levels of butyrate are also linked to increased levels of gut induced inflammation or endotoxaemia (6, 7). 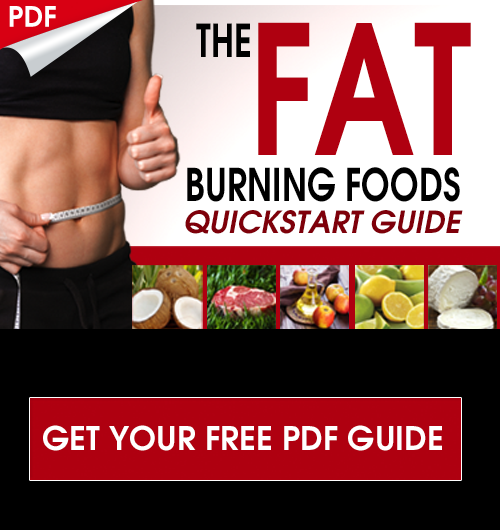 This research indicates that butyrate and other short chain fatty acids exert a profound immunometabolic effect on the body. Many experts believe that as a ‘gut signature’ becomes more evident in type II diabetes, a better understanding of the role of the microbiota in diabetes might provide new aspects regarding its pathophysiological relevance and pave the way for new therapeutic principles (9). Prevention and reversal of degenerative diabetes depends on our ability to reduce inflammation and enhance cellular healing processes. This begins with a diet rich in phytonutrient dense vegetables, healthy fat and clean protein sources. 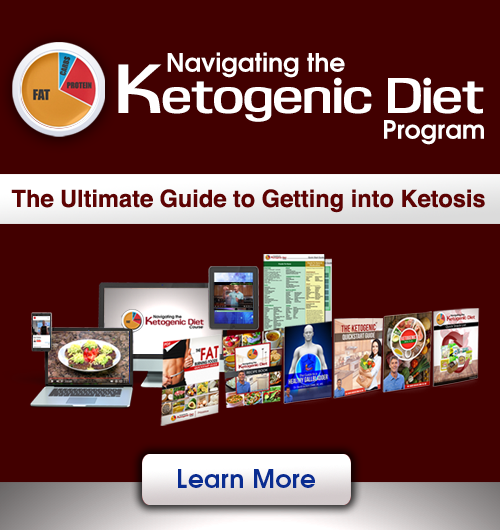 I recommend a ketogenic style diet that puts the body into a state of mild-ketosis. This is much different than ketoacidosis which is a pathological state that takes place when an individual is completely unable to produce insulin at all. Mild-ketosis as explained in this article is a fantastic physiological state that profoundly improves the state of cellular healing. Research has revealed that a ketogenic diet is very effective for improving blood sugar levels in diabetic individuals (8, 9, 10). This nutrition plan has a foundation of healthy fat sources that include coconut products, avocados, olive oil, nuts, seeds, & purified omega-3 fish oil supplements. Healthy protein includes wild-caught fish, grass-fed red meat and free range chicken, turkey, and eggs. These protein and fat sources are extraordinarily critical for rebuilding healthy cell membranes with normalized insulin receptor activity. Individuals with elevated blood sugar levels have cell membranes that are under high amounts of oxidative stress (11). To reduce this stress and adapt and heal effectively, it is especially important for these individuals to load up on anti-oxidant rich foods. Non-starchy vegetables, low-glycemic fruit, herbs, teas, essential oils and fermented foods are great sources of anti-oxidants. Some of the most powerful anti-inflammatory herbs include cinnamon, turmeric, green tea, & ginger. These should be included as often as possible to help to stabilize blood sugar and reduce cellular inflammation. High intensity surge training is the best form of exercise to reverse diabetes. Due to the high intensity, this form of exercise utilizes all the stored sugar in the liver & muscles during the exercise bout. In response, the cells of the muscle and liver take-on an insulin-like effect and have a significantly increased affinity for glucose to fill their storage tanks. Additionally, surge training enhances growth hormone secretion (HGH) through the next 24-36 hours enabling the body to burn more fat for energy (12). This HGH affect also enhances the body’s ability to heal the damaged pancreas and insulin receptors on the cell wall. Insulin resistance also takes form with several nutrient deficiencies including chromium, biotin & vanadium. Clinically, I have found supplementing with high doses of these nutrients to be so extraordinarily effective for both pre-diabetic and diabetic individuals that I customized a supplement called Insulin Manager to help with this. Chromium based studies have repeatedly demonstrated improvement in blood sugar levels, insulin sensitivity and lipid profiles. Chromium modulates the cells intracellular signaling systems to effectively lower blood glucose (13, 14, 15, 16). One of the most effective natural treatments for diabetes is vanadium. This unique trace mineral works to lower blood sugar by mimicking insulin and improving the cells’ sensitivity to insulin (19, 20, 21). Here are the best action steps to get started with on your journey to prevent and/or beat Diabetes. You should always consult with your physician before stopping or changing medications or taking on new health strategies. Additionally, you should be working with a functional health practitioner to help guide you through these strategies. This is not an exhaustive list and there are other natural therapeutic strategies that I and functional health practitioners will utilize to help individuals with Diabetes. 1) Follow a Ketogenic Diet: Follow a low-carb anti-inflammatory nutrition plan here to begin with and then progress into a ketogenic diet to get the best blood sugar stabilization and brain and body benefits. 3) Improve Your Sleep: Sleeping a high quality 8-9 hours each night is key to reducing cellular inflammation and improving blood sugar signaling. Follow the steps in this article to improve your sleep. 4) Use Anti-Oxidant Rich Herbs: Add turmeric, ginger, oregano, garlic, basil, thyme and rosemary to as many dishes as possible and drink organic herbal teas on a regular basis. 5) Zinc and Magnesium: Be sure to optimize your zinc and magnesium levels. Both of these nutrients work to improve blood sugar signaling problems. Pumpkin seeds are one of the richest sources of both zinc and magnesium. Additionally, make green drinks or use super green powders and consume healthy organic meat products. You can also do Epsom salt baths to boost your magnesium levels. 6) Supplement With Omega 3’s: Omega 3 fatty acids and in particular the long chain variety EPA and DHA are critical for stabilizing blood sugar, lowering triglycerides and improving insulin sensitivity. Consume grass-fed meat, grass-fed butter, wild-caught fish and spirulina to get it in your diet. It is also advisable to supplement with 2-5 grams daily of EPA/DHA. Clinically, I use Pro Omega CRP to boost up omega 3’s. This supplement is also a powerful anti-inflammatory with activated curcumin and glutathione. 7) Focus on Deep Breathing: Improving your posture, seeing a high quality chiropractor and optimizing your breathing patterns is highly recommended. Follow these tips here to improve your breathing patterns. 8) Change Your MicroBiome: You can do this by killing off bad microbes and reinnoculating your system with probiotics and fermented foods. Follow the strategies in this article for improving your gut health. 9) Optimize Your Vitamin D: Low vitamin D3 is associated with the development of type II diabetes (22). Be sure to increase your vitamin D through good amounts of regular sun exposure and/or taking a high quality vitamin D3/K2 supplement. 10) Intermittent Fasting: Going 16 hours between dinner and breakfast is one of the best ways to balance blood sugar and reduce cellular inflammation (23). Consume your meals in an 8 hour window such as 11am – 7pm. Read this article for more info on fasting. 11) High Intensity Exercise: High intensity training, especially resistance training boosts up testosterone. Do large muscle group, compound exercises such as squats, lunges, bench press, T-bar rows, pull-ups, overhead press, etc. Be sure to lift heavy!! The more muscle tissue that is intensely stimulated, the more testosterone production will go up. Be sure to get good rest between workouts. I like to do an upper body day, lower body day and then a day off. Then back to upper body and lower body and then another day off…and so on and so on. 2. Shoelson SE, Lee J, Goldfine AB. 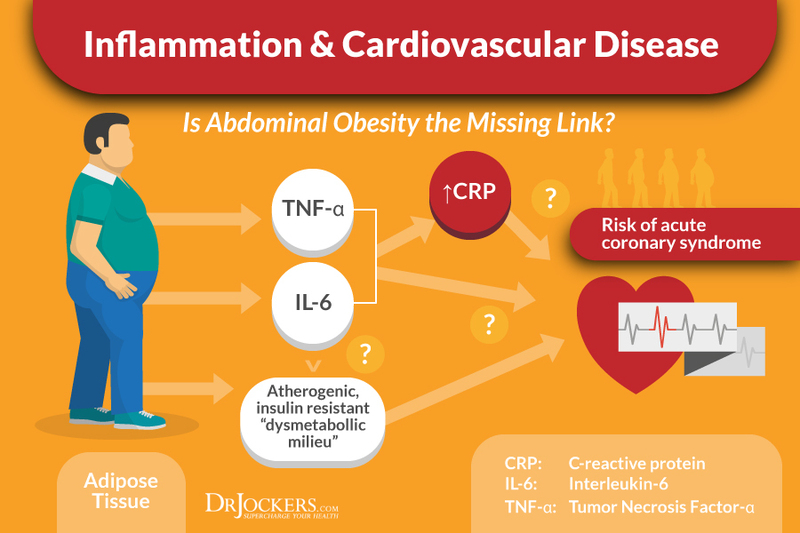 Inflammation and insulin resistance. Journal of Clinical Investigation. 2006;116(7):1793-1801. 8. Yancy WS, Foy M, Chalecki AM, Vernon MC, Westman EC. A low-carbohydrate, ketogenic diet to treat type 2 diabetes. Nutrition & Metabolism. 2005;2:34. 22. Scragg R. Vitamin D and Type 2 Diabetes: Are We Ready for a Prevention Trial? Diabetes. 2008;57(10):2565-2566. Great information regarding diabetes! Highly appreciate this information. Being a conventional medicine doctor, back in medical school, we were taught that genetics play a major role in etiology of diabetes mellitus. And this very fact is deeply ingrained into the minds of conventional doctors & they impart the same to their patients that if your first degree relative has diabetes you are bound to get it and bear it for the rest of your life. Moreover, they give a sense of complete haplessness. Based on this, they further re-iterate that diabetes is a chronic and progressive degenrative disease. In your article, you aim to show complete remission of diabetes which I very much appreciate. After complete remission of diabetes using the functional medicine approach, is there any chance of relapse of the problem due to genetic predisposition? Thanks for writing. There is absolutely a chance of slipping into relapse due to genetic predisposition and poor lifestyle. The individual must maintain the healthy lifestyle habits to prevent the disease process. Thanks a lot Dr David.